In 2010, Garden State Park in Cherry Hill, New Jersey contacted us to help with the décor for their new center. 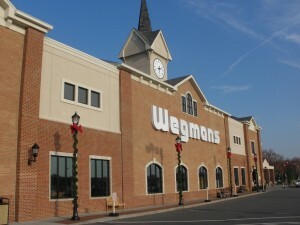 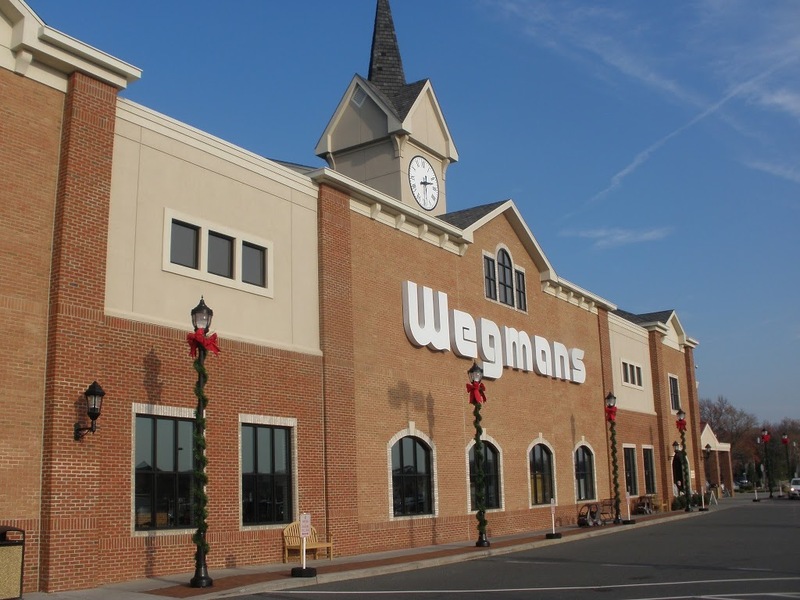 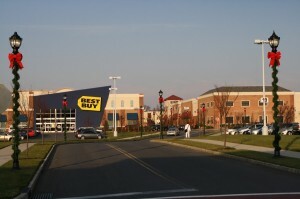 The enormous complex located minutes away from Philadelphia includes the Market Place, which features over 530,000 sq. 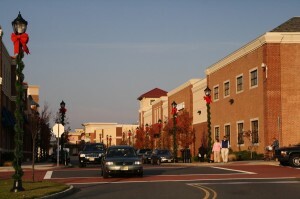 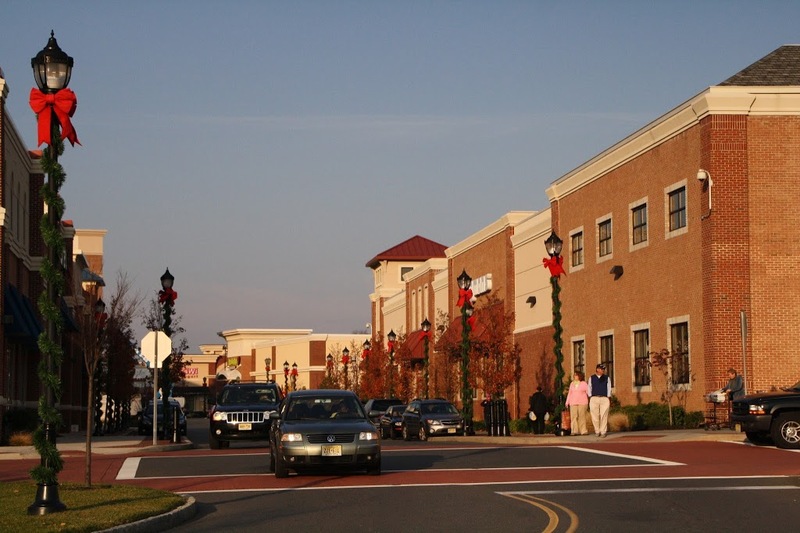 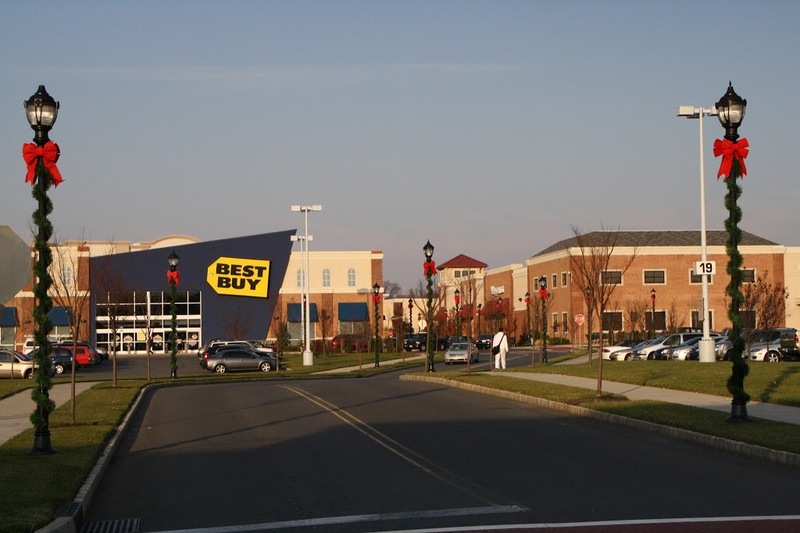 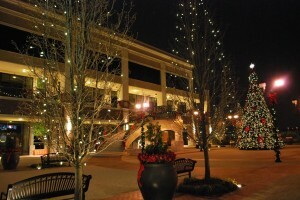 ft. of regional shopping, and the Towne Place, which has an additional 205,000 sq. 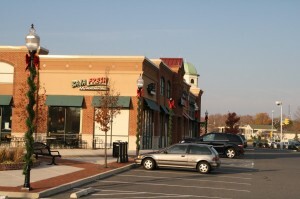 ft. of upscale retail, restaurants and offices. 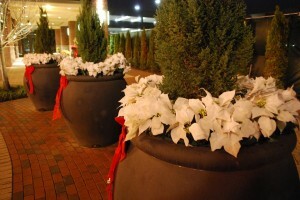 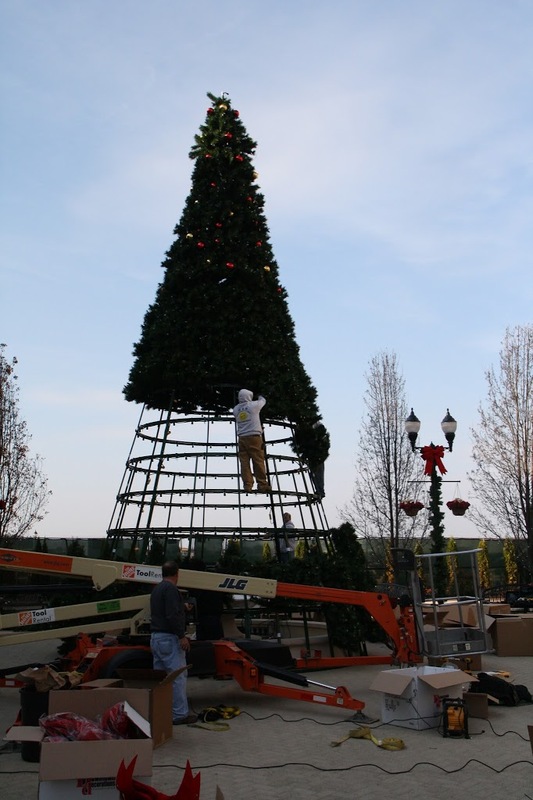 They had recently finished the lifestyle portion of the plaza and wanted some décor to really enhance their first holiday season. One of the major challenges of the project was the custom giant tree. 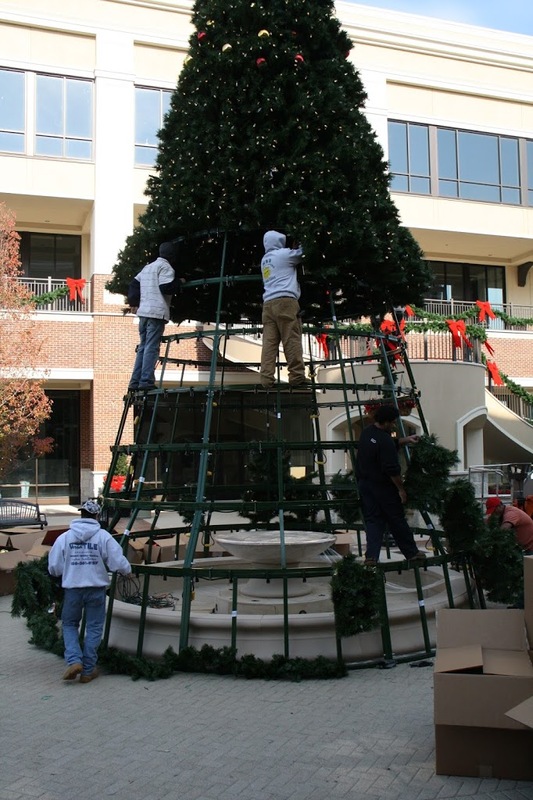 They wanted the tree to sit around their existing fountain, which was 16’ in outer diameter, but they only had a limited budget, so the largest tree that would work was 34'. We took the specs of their fountain and created a custom base for the tree to allow it to seamlessly fit around the fountain with a 3” tolerance. 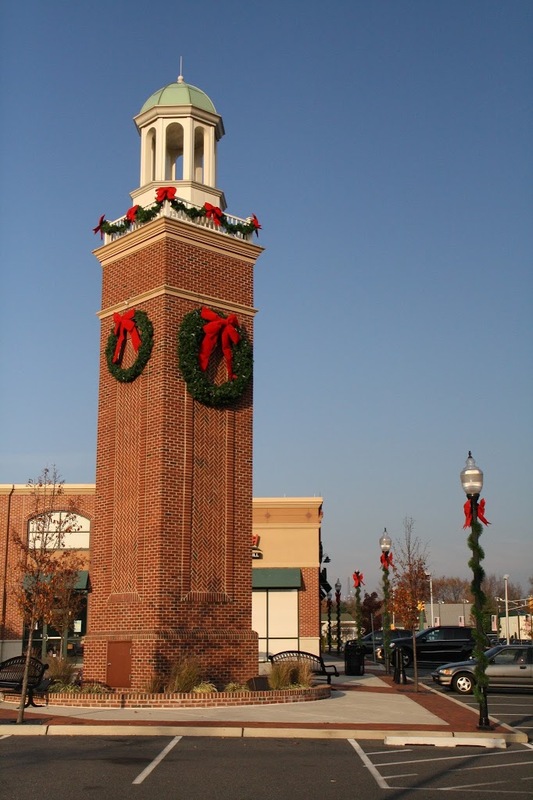 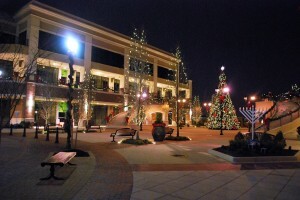 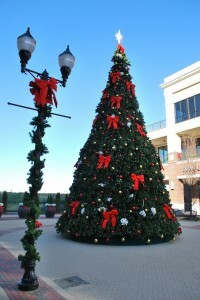 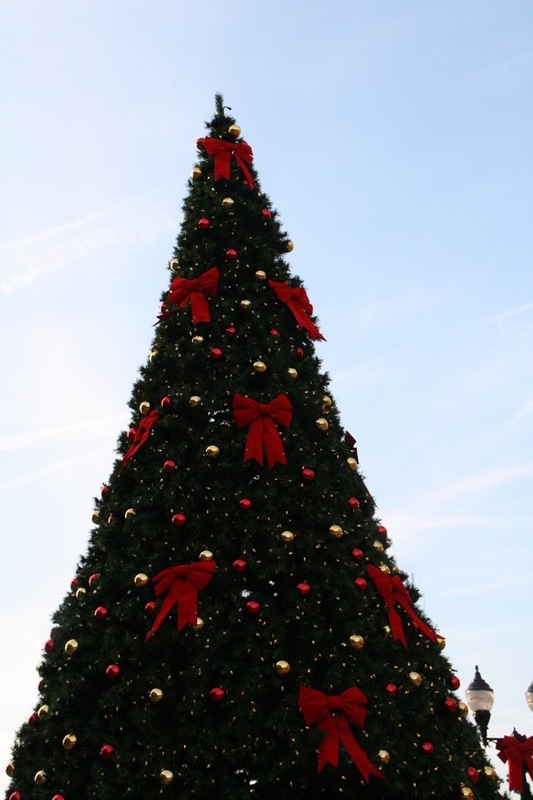 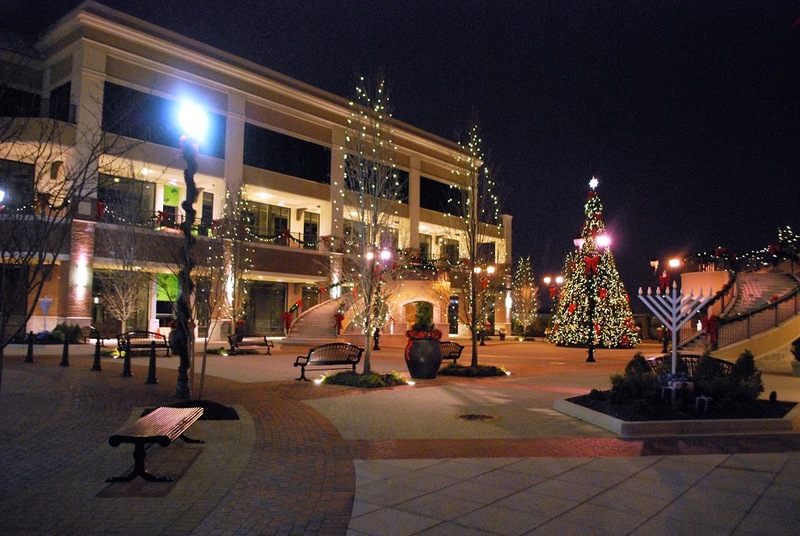 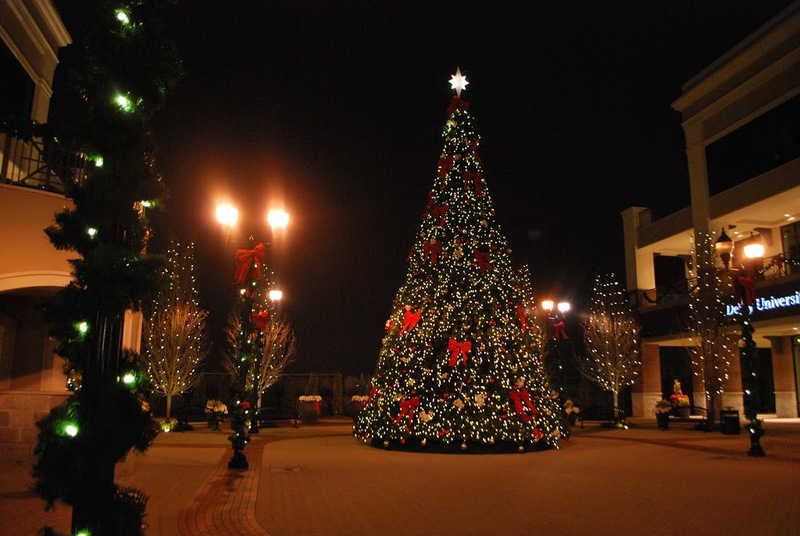 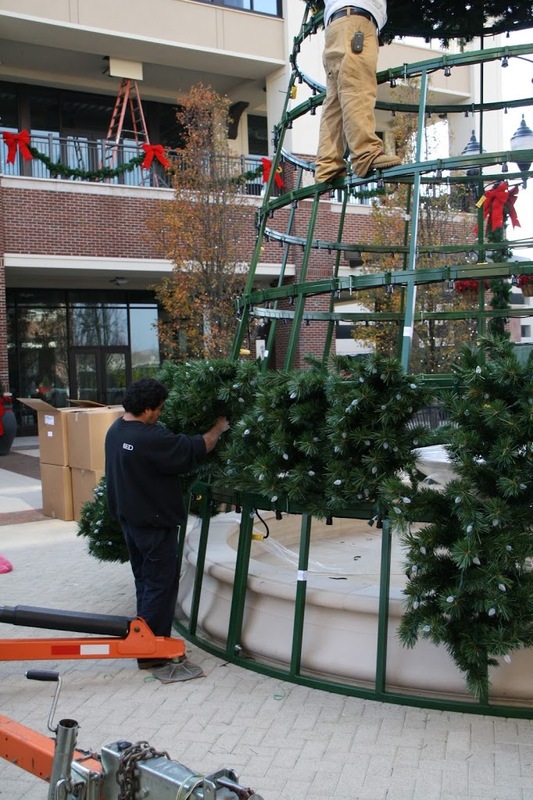 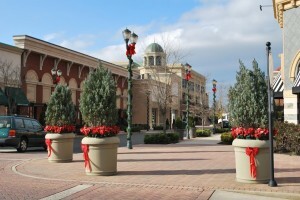 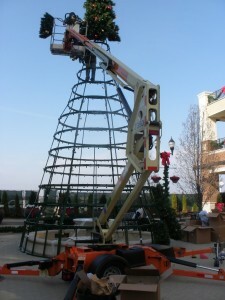 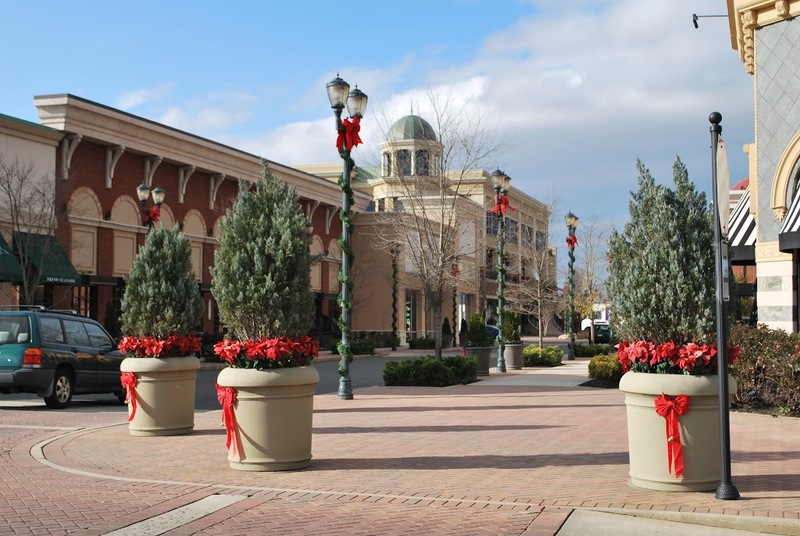 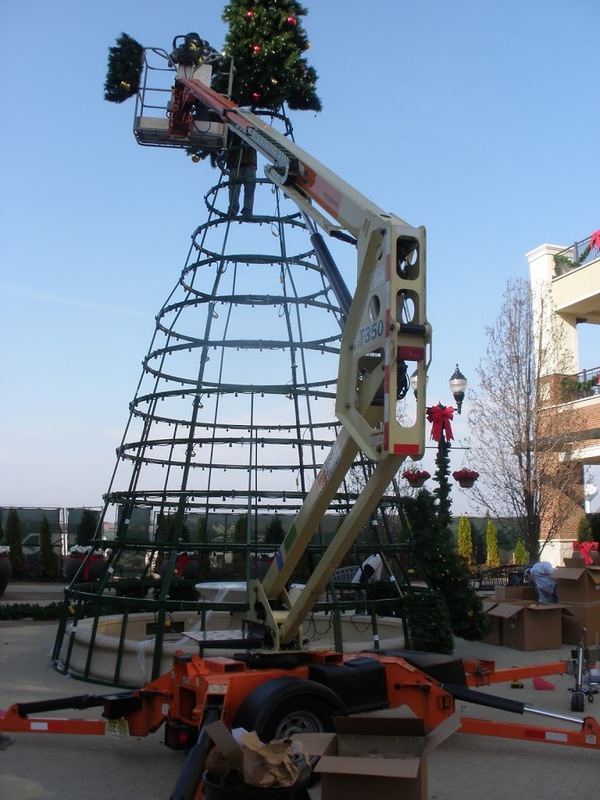 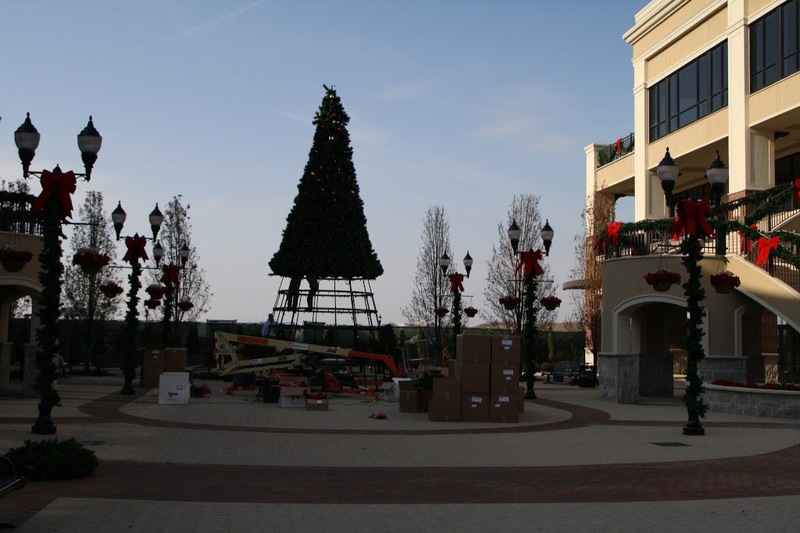 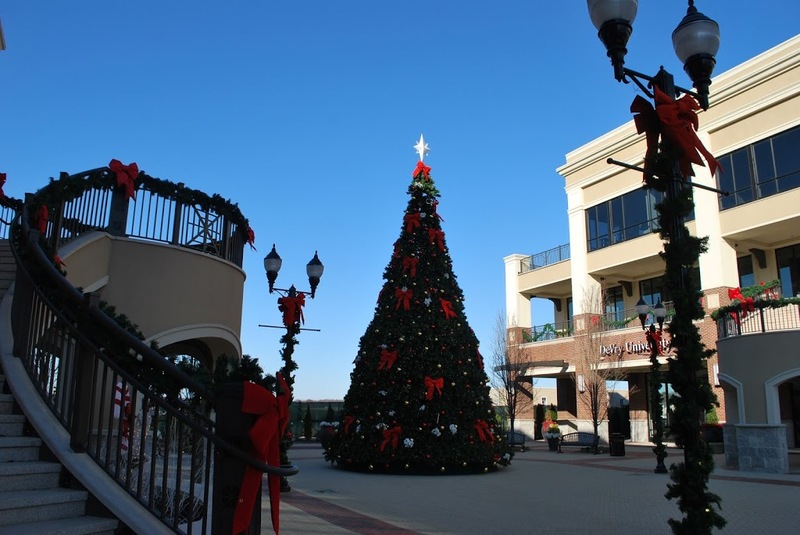 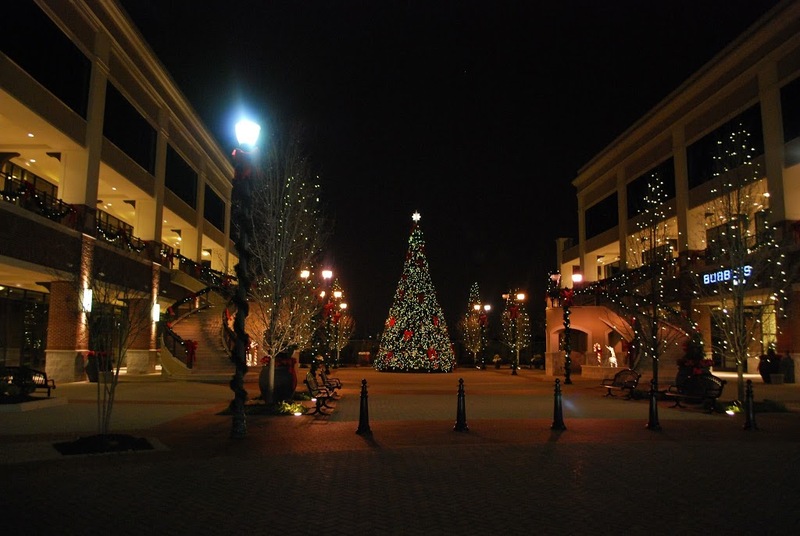 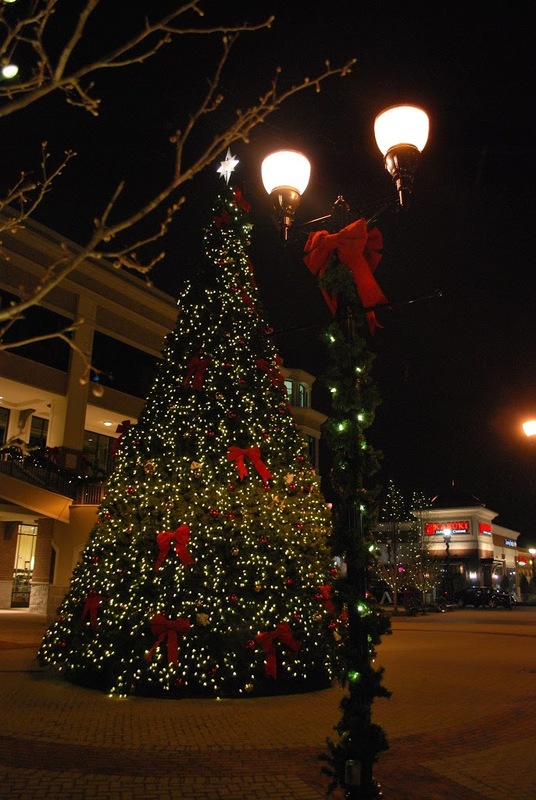 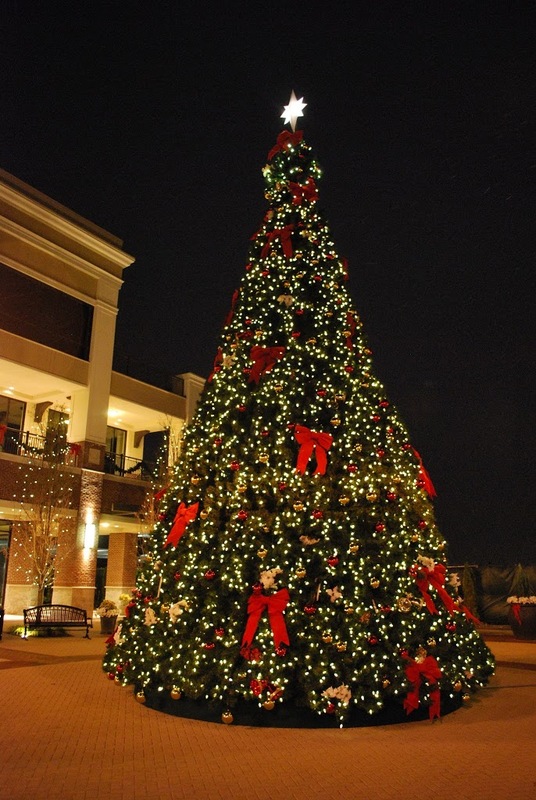 In addition to the giant tree, we decorated each light pole in the shopping center with garland pole wrap and bows, adorned pylon signs, and hung 6’ and 8’ wreaths on buildings throughout the plaza. 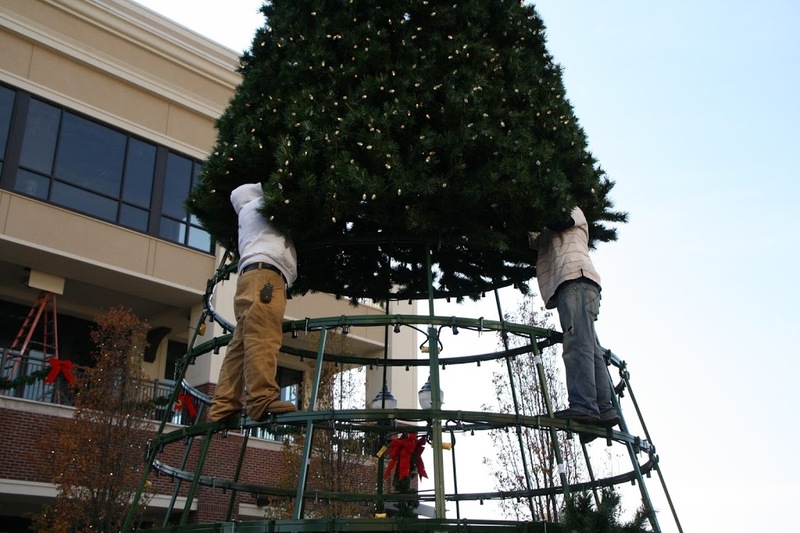 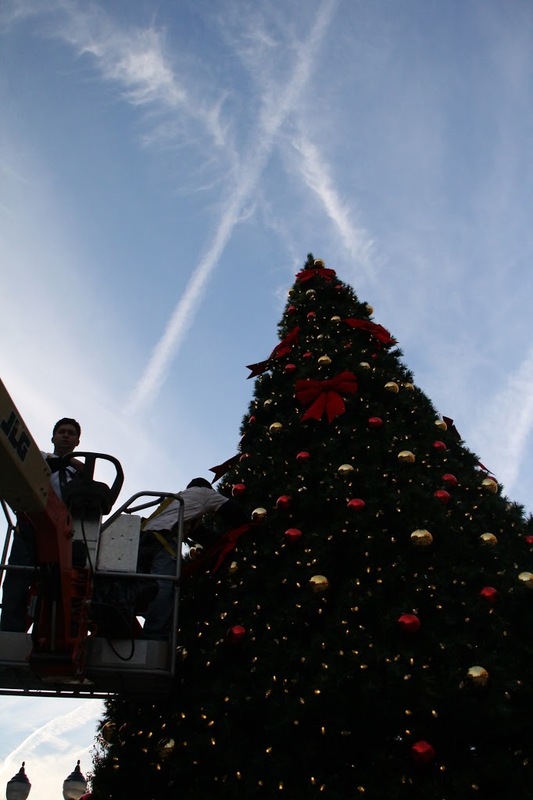 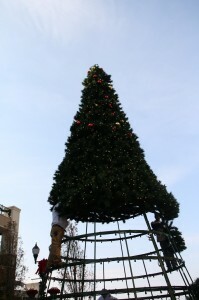 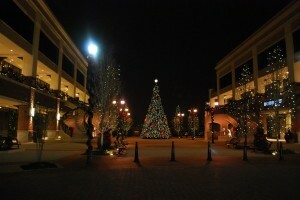 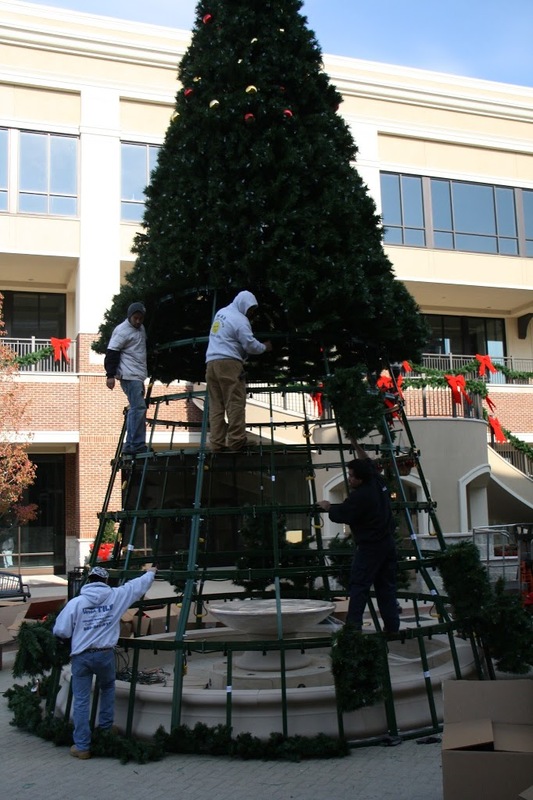 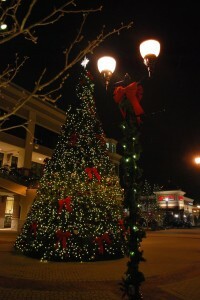 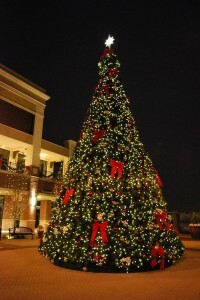 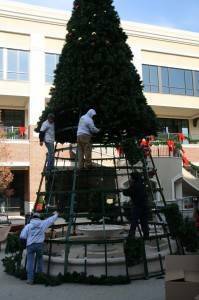 Take a look at some photos of the tree installation and the finished decorations after the jump.